It’s here! The day you have been preparing for over the past few weeks and maybe even months. The final days have found you scurrying about with last minute details like contacting utility companies and boxing up frequently used items. Moving day is not only hectic but also highly stressful. Tempers may flare up at the slightest as everyone’s energy wanes. With a little planning, we help you make sure your family shares the excitement of the move without the stress involved. Are you in need of moving and packing supplies? Stop by one of our sites to purchase your packing supplies today. For more moving and self-storage tips, check out our Moving & Self Storage Boards on our Pinterest account. Or talk to our 5A Storage Counselors. Ask them any questions about moving, they’ll be able to help. We also offer you a guaranteed recipe for success at such times: renting a 5A Rent-A-Space storage unit near your San Mateo home. Take advantage of storing little-used items and other household goods so you can take your time unpacking. There’s the icing on the cake too! We provide a free moving van near San Mateo when you rent a storage unit from us. You can save miles on your rented or borrowed truck because we pick up all the items you want to store at your door and deliver them to your rented storage unit. Rice and Veggies Comfort Soup – Nothing says “welcome home” more than a bowl of hot, homemade soup. § Add broth, water, and seasonings to the soup pot, and bring to a boil. Hearty Chicken Casserole – Need a meal that brings back your energy while using up leftovers from your fridge? Look no further! Make your family happy with a hearty home cooked meal and ease the burden of unpacking by storing some of your belongings in a 5A Rent-A-Space storage rental near San Mateo. Not only will it relieve the pressure of unpacking, but it also frees up space at home, and allows easy access to your possessions while you unpack at an unhurried, more leisurely pace. Utilizing the extra space that a storage rental unit provides is one way to ease the stress of transitioning from one home to another. Many people find that using a unit near their home helps keep the house clutter-free and makes it easy to keep away seasonal items such as decorations and sports gear. The convenience of freeing up space for more comfortable living conditions cannot be underestimated. 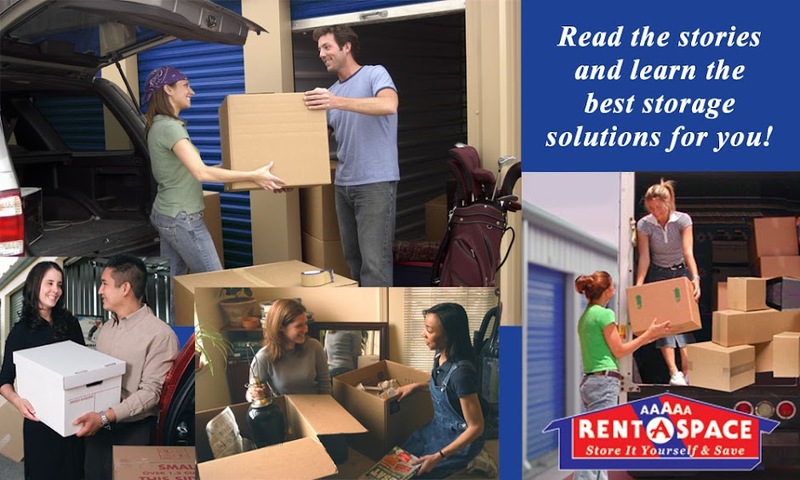 Here are 4 tips that could help you when placing your stuff in a 5A Rent-A-Space storage unit near your Lafayette home. Consider Insurance: We provide full insurance coverage for your stored items with a range of pricing options. You may also want to check if your homeowner’s policy already covers your stored goods. ~ Take Inventory – It is important to mark each box clearly with its contents. Create a contents list detailing each item to be stored, extra tip: include its monetary value for insurance purposes. ~ Clean Furniture – To help protect your furniture, clean and cover items with either plastic for short-term storage or a cloth cover for long-term safekeeping. ~ Disassemble Furniture – For pieces that can quickly be disassembled, do so! For example, remove table legs, chair backs and disassemble bed frames before placing into your unit. ~ Prep the Floor – Lay down plastic sheeting or wooden pallets on the floor to keep moisture build-up at its minimum. ~ Protect for the Long Haul – For long-term safeguarding, invest in quality fabric covers for your furniture and appliances. Your storage company often has those for sale along with many other useful packing supplies. ~ Keep Electronic Items Dry – Dry out washers and refrigerators and wipe clean all moisture before placing in your unit. Keep their doors slightly ajar with a small piece of wood or folded cardboard. This keeps air circulation going and you won’t find a musty smell when you are ready to use the appliance again. ~ Reach the Top – Keep a stool or ladder handy for stacking, unstacking and easy access to items placed on a higher level. Remember to place heavier items on the floor and lighter items up high. ~ Place Heavy Items at the Back – Place items that you do not need immediately at the far end such as the washer or dryer. ~ Place headboards, tables and disassembled items flat against the walls – Leave the middle and front of the unit for things you need to access. ~ Use Every Nook and Cranny – Have empty dresser drawers? Fill them up with smaller items such as cutlery and delicate items. Put linens in suitcases; line bookshelves with boxes. ~ Take Advantage of a Free Moving Van – You do not have to add wear and tear to your vehicle or inconvenience your friends to carry your belongings to the storage facility for you. At 5A, we move you in with our free van when you rent a storage unit. Put your 5A Rent-A-Space unit to its best use when you take advantage of these storage ideas. Protect your household and seasonal items with proper insurance, preparing ahead, packing with purpose, and moving your stuff with a free moving van. Ask us for details and take advantage of current specials and discounts. Call 5A Rent-A-Space at 925-643-2024 or toll-free at 1-800-5ASPACE (1-800-522-7223) to learn more. Reserve your self-storage unit online now. Not sure how much space you will need for your items? Use our online Space Calculator to estimate the best unit size for you.